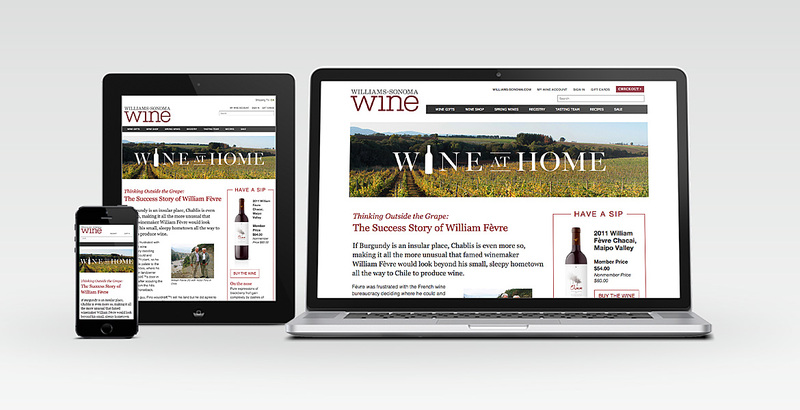 During full-time employment at Global Wine Company (GWC), one of my duties was to create and edit responsive landing pages for the various wine club partners. This one was for the Williams-Sonoma Wine Club (WS) 'Wine at Home' series, which educates customers on certain aspects of the wine culture. 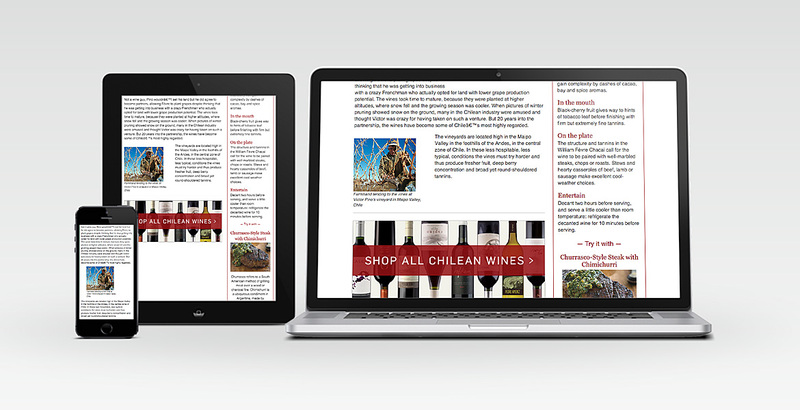 Utilizing the existing WS branding, I laid out the content then coded the page using current HTML & CSS standards. Client full-time at Global Wine Co.